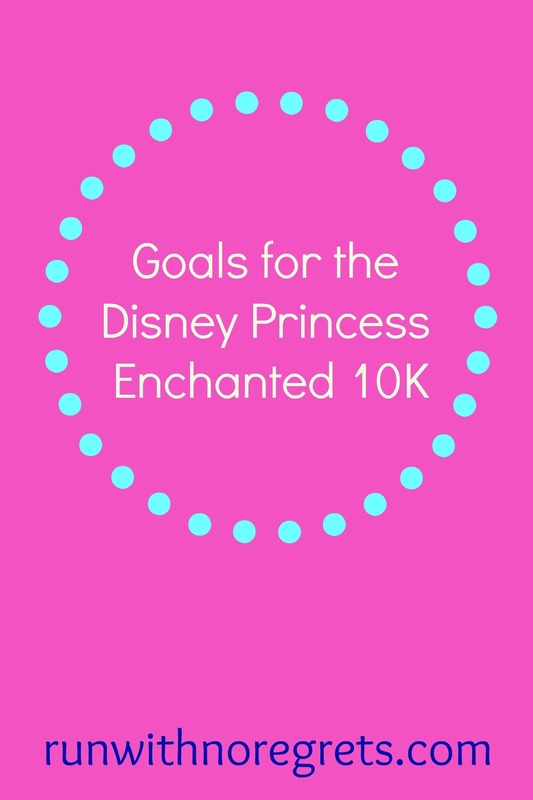 On Saturday, I’ll be completing my very first Disney race and the first of 2017: The Disney Princess Enchanted 10K! I’m so excited (and still packing) for a weekend at Disney World. My sister and I will be running together and more than anything, I want to have a fun time! Since the race is just a few days away, I thought I would share my goals with you! I’m linking up with Ilka and Angela for Sunday Fitness and Food, Susie, Debbie, Lora, and Rachel for the Running Coaches Corner and Annmarie, Nicole, Jen, and Michelle for Wild Workout Wednesday! Are you going to Disney Princess Weekend? If so, let me know! I’ll be spectating at the 5K and running the 10K so I hope to share some fun pictures on Instagram! This weekend is all about having a fun time. It’ll be my first racecation so I want to make sure that I do it right! The race starts at 5:30 am, the earliest I’ve ever run a race! And with 5,000 participants, this will be the largest 10K I’ve ever run. I’m hopeful that race morning won’t be too chaotic. I’ll need to figure out an appropriate pre-race snack. I’m an early bird, but getting up earlier than 4:30 is a little rough for me…hopefully everything will go smoothly! Keep at my sister’s pace – The point of this race is for my sister and me to run together. I can get competitive during races, but I’m not going to let that happen this time. I’ll follow her cues while also encouraging her along the way. Enjoy the Disney experience – I want to admire all of the crazy costumes from fellow runners, get pictures with my favorite Disney characters, smile for the cameras on the course…this is a unique experience! Finish strong – Any time I race I love to surge through the finish line. My last race was the Philly Marathon and that was a very anticlimactic ending…I’d love a more memorable finish for Disney! It’s Florida in winter, what’s not to love, right? While the 60-degree temperature is my sweet spot for running, the 96% humidity will really be a challenge for me. I’m sure I’ll be a sweaty mess by the time the race is over! I’ll be using my Nathan Quick Shot handheld water bottle so that I’m readily hydrated on the course. There are 3 water stops during the course, but I think it’ll be too chaotic trying to push through the crowds. The distance isn’t too long so I’m not going to worry about fueling during the race, but it’ll be important to make sure I’m properly fueled that morning! I’m really excited about the Disney experience and I can’t wait to tell you all about it when I get back! Any last-minute tips for my first runDisney experience? Do you have any races this weekend?